December 4, 2015. 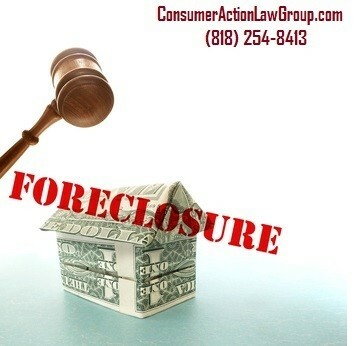 Los Angeles, California — Property owners who have been served with a notice of trustee sale are in danger of losing their homes especially if they do not enlist the help of a foreclosure attorney. A trustee sale allows to sell a property to recover funds for the lender. A trustee will take the necessary steps to recover the lenders funds in the event that the borrower cannot pay. The trustee initiates the sale and if they do not receive any bids for the property, it reverts back to the lender. The foreclosure process begins with the borrower receiving a notice of default via certified mail or delivery to their property according to California law. After 90 days without payment, the lender records of notice of trustee sale informing the homeowner that their property will be put up for sale on a certain date. Unfortunately, many borrowers have reported that they never received the notice of default and are only aware that there is a problem when they receive the notice informing them of the sale of their property. The issue now becomes a question of how to stop their property from being sold by the trustee. A good foreclosure lawyer will show homeowners how to prevent foreclosure and help homeowners take several steps to stop the process. The first option is filing for bankruptcy, which creates an automatic stay on the property and prevents the lender and other parties from taking steps to recover their funds until further notice. Chapter 13 bankruptcy allows the homeowner to reorganize debt and get rid of second liens and other unsecured loans, when possible. Another way a foreclosure attorney can help to prevent foreclosure is by filing a lawsuit against the lender; especially in cases where the lender violated California foreclosure laws. Filing a lawsuit against the lender or servicer is also a permanent solution to stopping a foreclosure sale if the facts of the underlying case have sufficient merit. A lawsuit against the lender compels the trustee to delay the foreclosure sale date until the case is heard. If the lender pursues the foreclosure sale while the case is still pending, foreclosure lawyer can file a Lis Pendens with the county recorder and serve it on all the concerned parties in order to stop the sale.